Maurizio Sarri has promised to stick with his footballing methods at Chelsea as questions about his position at the club began to surface following their defeat against Bournemouth. As the Blues succumbed to a 4-0 drubbing at the hands of the Cherries, their worst ever defeat in the league for over 22 years, Sarri once again held a dressing-room meeting with his players immediately after the game before going back to London separately with the squad. The superb start Sarri enjoyed in the Chelsea managerial hot seat has began to unravel in recent weeks. The west Londoners have suffered from indifferent form, with their struggles in front of goal particularly well-documented. 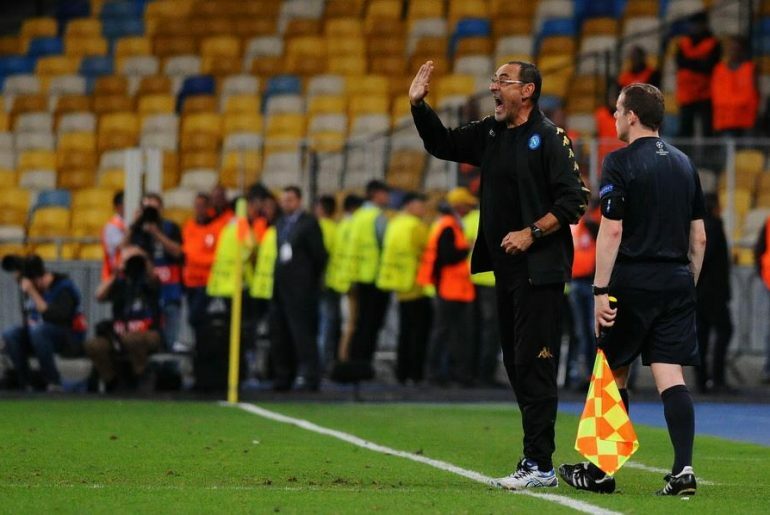 Yet Sarri has always maintained it will take some time for his particular approach to become ingrained with the Blues squad and the ex-Napoli boss further enhance his point by citing the three teams currently at the top of the Premier League table. The Blues’ dip in form in recent weeks has seen questions regarding Sarri’s preferred playing style raised. In eight of their most recent matches, they managed to find the back of the net in just half of these, while Jorginho’s role in the squad has also been scrutinised. Many believe Sarri-ball does not suit the current crop of Chelsea players yet the 60-year-old remains adamant about his methods. “Why? First of all I want to do Plan A very well, I think,” Sarri replied when quizzed on whether he would be willing to compromise on his principles to yield results. “I don’t want to change something that at the moment doesn’t work very well. First of all I want to see my football played very well, then we can go to change something.